Michel Barnier Chief EU Brexit Negociator & Guess Who? 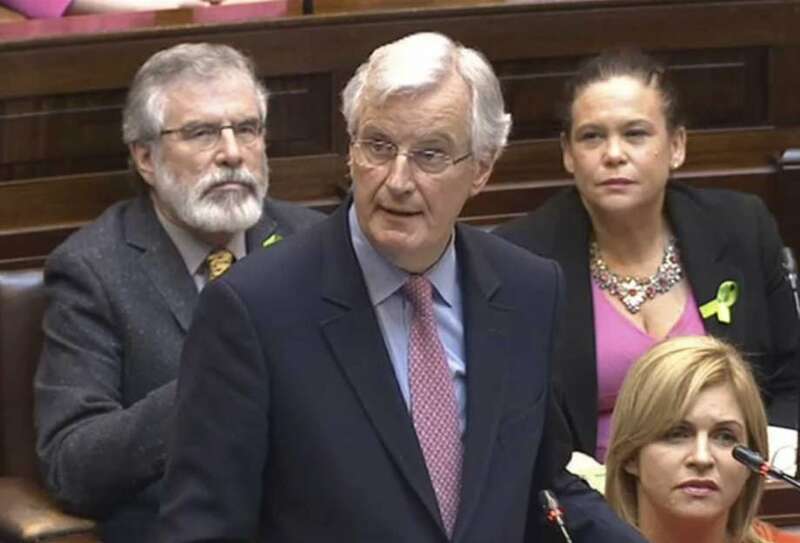 This is probably the most cogent and descriptive photograph taken during Michel Barnier’s epic address to the Dublin parliament. It makes it clear that, however well intentioned he may be, the ghosts from the recent past are ever present in the Irish Republic, and still mean business. 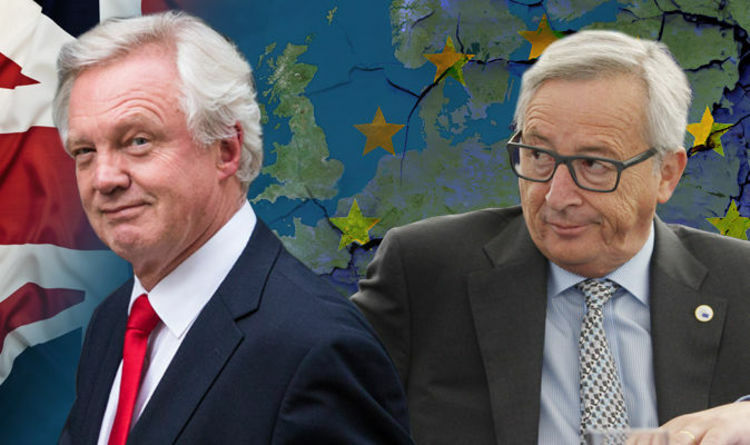 To put himself in this position, was a remarkable piece of EU chutzpah, and by claiming that the EU would stand behind the Republic of Ireland, during these Brexit negotiations, was to hit the very weak spot that Theresa May and David Davis were hoping to sidestep. Putting the Irish position at the forefront of the proposed Brexit pull out, was not an idle threat, but a very real EU spanner in the works for the British Government to contend with. Ireland, protected by the huge and powerful EU, sent a strong message to a waffling and incoherent British Government in London. 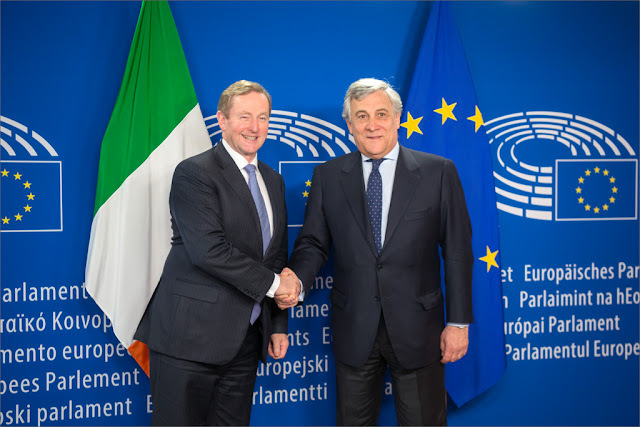 With their absurd claims of getting a better deal, and hiding behind the usual smokescreen of establishment figures, political nonentities, and grinning Brexit opportunists, this has, once more, put the whole question of Irish reunification back on the table. While the Brexiteers were regaling the British public with their wild and flippant rhetoric – claiming all sorts of wonderful changes, most of which will fade away over the next two years or be denied altogether – did any of them actually consider the possibility of a breakup of the United Kingdom, and that it might encourage parts of the UK to take a positive step towards a federated Europe? Did these entitled politico’s actually believe, that there would never be a downside to their vote inducing antics? And, did it ever occur to them that – prompted by purely economic reasons – that even the most disenfranchised in the North of Ireland might prefer Irish unification, rather than some half baked, unworkable, retrogressive customs and passport control checkpoint, on the border between the two – soon to be – separated parts of Ireland. One persons democracy, might well be another’s Bedlam. So, it follows that – other than Little England, and Wales – Britains immediate EU neighbour of EIRE, was also none too pleased. With English voters incipient madness, and Scotland and Northern Ireland not wanting out of the EU – by some a significant margin of votes – once more, the Brits completely misread the Irish position. 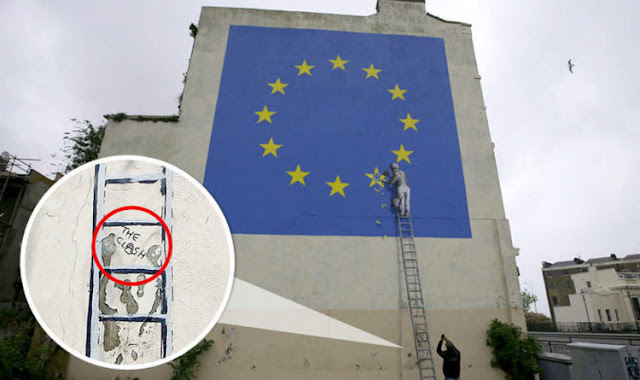 Nor, in turn, did the EU itself, and for that matter, neither did other EU members – or even potential EU members – begin to understand the UK position. So, despite all the handshakes and photo opportunities, clearly Messers May and Davis, PLC, are in for a hard time. But what is happening from inside the UK itself, and how is the media coping with the withering storm? I am so lucky to live in Greece, to view world events through a clear pane of glass, and not through the prism of the British press, because right wing views are beginning to distort the Brexit debate altogether. It now appears, that many of the right of centre groups are beginning to view any Brexit decent as a form of national betrayal. It further seems that a particular category of Middle English, middle class extremists, are attempting to motivate dissenters from the middle ground, to get behind the Tories in the forthcoming June 8th Election, by calling them traitors! Although there is little doubt that Theresa May will enjoy a landslide victory, as I sit this quiet Sunday in the birthplace of democracy, I do wonder how far right is right? As I cling to the arms of my front row seat, watching the boxers weigh up before the fight, I can’t help noticing how right wing politicians in Europe, have recently done rather badly in certain elections, and that the victors remain unashamedly pro Europe and the EU. Perhaps it is time for these inward looking and self congratulating British right wing extremists, to stop thinking of Ireland as a vegetable patch, or a cheap labour market for navvy’s, and to wonder why it is that half the banks in the City of London are likely to relocate to Dublin, where the Celtic Tigre – with its legendary computer skills – is ready to pounce! Food for Oil – By Patrick Brigham .